Small towns have a special feeling. They offer a sense of warmth and belonging, a place where friends and neighbors gather for coffee and conversation. That’s just the kind of feeling you’ll find at Randleman Ridge. 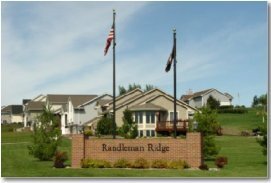 Designed to provide a strong sense of place and the intimacy of a small town, Randleman Ridge offers a wide range of homes and exceptional community features. 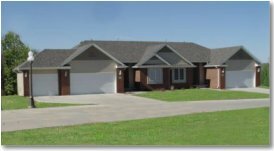 Amenities include a walking trail, parks and aquatic center, as well as the loveliest amenity of all: the natural beauty of its setting in Carlisle, Iowa.